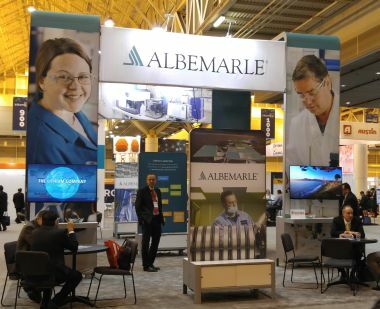 Albemarle provides custom synthesis manufacturing of APIs, agricultural actives and advanced intermediates for customers in the API pharmaceutical, agrichemicals and specialty chemicals industries. With world-class facilities, exceptional process development and scale-up capabilities, and 40 years of exemplary customer service, we are the perfect production partner for your custom project. We offer a complete range of manufacturing services backed by highly skilled R&D teams to assist with synthesis route selection, process development and analytical support. At every point, we offer seamless service and hands-on assistance. Albemarle implements cGMPs at our API manufacturing facility in South Haven, MI and offers ISO and FIFRA manufacturing services at Tyrone PA. Albemarle also custom manufactures high volume products at its Pasadena TX plant and R&D and scale-up activities at its Process Development Center in Baton Rouge, LA.